Surprise, surprise, surprise! This is being put forth at exactly the same time Hillary Clinton is testifying in front of the Benghazi Committee. This is happening a little later than I thought, but this is not surprising. Obama is telling Congress we must bailout Puerto Rico or we are all doomed! They are bankrupt… we are bankrupt… how does one bankrupt nation bailout another? Why they tax the hell out of people and print more money, that’s how. Yet another hearing will be held today on the fiscal crisis of Puerto Rico; this time by the Senate Energy and Natural Resources Committee. Puerto Rico has a public debt of over $70 billion dollars. I agree with Forbes, the debt is just the symptom of the problem. The real underlying issue is an addiction to spending that produces $6 billion dollar deficits per year and a government centered economic model which leads to stunted growth. To put it into perspective, even if the island completely defaulted on its roughly $3 billion dollar per year debt service payments, this still does not address half of the deficit problem. But Obama wants to throw money at the problem and guarantee more entitlements. Fail. WASHINGTON (AP) — The Obama administration on Thursday will take a blueprint for the economic rescue of Puerto Rico before a Republican controlled Congress dedicated to driving down government spending. The administration said that it needs the cooperation of Congress to prevent an economic disaster in the U.S. territory, which is mired in a years-long recession. U.S. Treasury Secretary Jacob Lew, along with National Economic Council Director Jeff Zients, and Health and Human Services Secretary Sylvia Mathews Burwell, released a joint statement late Wednesday imploring Congress act. The administration said it has done all that it can to help Puerto Rico through its crisis. “Only Congress has the authority to provide Puerto Rico with the tools required to lay the foundation for the Commonwealth’s recovery, and Congress must act,” the joint statement read. The administration proposed a four-step program that calls on Congress to approve restructuring of Puerto Rico’s debt burden and then provide oversight for a credible recovery plan. The plan also calls for reforms to Puerto Rico’s Medicaid program. The administration proposal, if approved by Congress, would give Puerto Rico a way to restructure its $72 billion in debt. 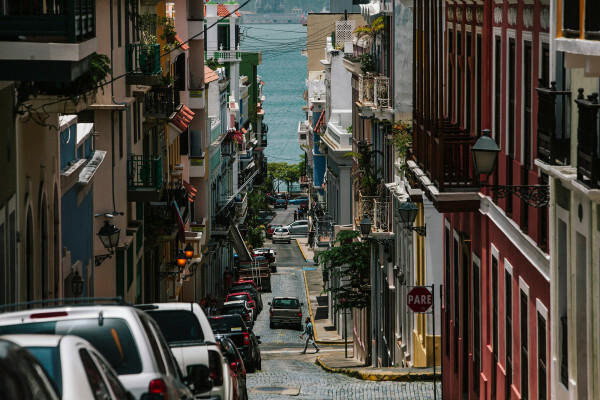 On Wednesday, Puerto Rico’s Government Development Bank announced it was ending talks with a group of bondholders without reaching a deal on debt restructuring. The administration’s plan is scheduled to be presented on Thursday to the Senate Energy and Natural Resources Committee, which has jurisdiction over Puerto Rico and America’s other territories. In addition to debt restricting, the administration said Congress needs to approve reforms to the island’s Medicaid program for poor people to provide better access to healthcare and also provide low-income residents of Puerto Rico with access to the Earned Income Tax Credit. Personally, if it were up to me, I’d let them fend for themselves at this point. However, if we are going to help them, there is a sane way to do it. Dismantle the current government apparatus that is costly and ineffective as a first step. Then, we should simultaneously implement real and strong free market reforms that open up the economy and lead to robust growth and job creation. Finally, a new independent mechanism should be created to manage the debt, based on a collaboration between the government of Puerto Rico and the US, in order to restore investor confidence and allow the island’s government to regain access to the financial markets. Where Forbes and I differ is on statehood. Puerto Rico should not be treated as a state or given statehood. Why would you welcome an insolvent country into your midst when you are already destitute? Puerto Rico must get her act together and stand on her own two feet economically and nationally.